At a fireside chat at this year’s TechCrunch Disrupt in Berlin, Ukrainian entrepreneur Denys Zhadanov put it best when he said that, as an entrepreneur, “your duty is to fund your vision and solve the problem”. 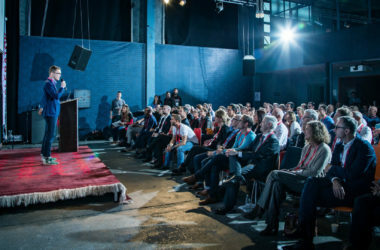 Zhadanov is known for his hits as well as his misses and other startups from the CEE can take heart from the fact that being “Eastside” doesn’t mean you have to think small to be global. Keeping in that spirit, here are 6 CEE startups we came across at Disrupt Berlin 2018. TalentBrowse (Romania): This startup tackles the backbone of the relationship between the East and the West by helping people find skilled IT labour. Given the relative ease of finding skilled IT employees in CEE, TalentBrowse’s platform hopes to make the hiring process more streamlined. StigoFleet (Estonia): At this year’s Disrupt Berlin the easiest way to get around the Arena was by way of Stigo Fleet’s sleek foldable electric scooter. Topping speeds of 25km/h with a range of 20km before charging, Head of Fleet Development Harold Saar said the vehicle has been a hit with the elderly with lower mobility. Though hulking millennials made to look like clowns (see video below), the finished product is a win for smart mobility in European cities. PatentBot (Ukraine): Confusingly, though named Patentbot, this AI startup helps with trademarks and copyrights by assisting you through each step of the way. Legally trained CEO Nataly Vladimirova and Managing Director Valentin Pivovarov lead this intriguing platform, which is available in the US, Ukraine, the EU and China. Gametree (Ukraine): Founder Igor Malchenko describes Gametree as “Tinder for the gaming community”. He assumed when he started the social network, where gamers can find other like-minded gamers, that only 5% of them would be women. As it turned out, due to rising rates in gaming in the West, Gametree has around 30% women according to Malchenko. Gamers have their interest piqued. But will they swipe right? 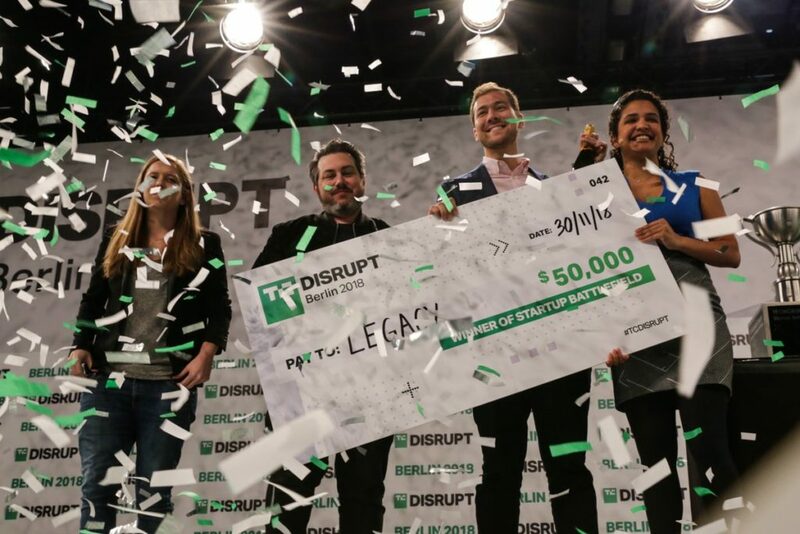 BeCoolMen (Poland): The overall winner of Disrupt Berlin was Legacy, a Swiss company that puts your men’s most crucial assets (sperm) on ice. BeCoolMen takes the issue directly to men’s underwear by offering a pouch that keeps men’s testicles at an optimum temperature. The pouch also offers vital statistics and we were told that, though symmetrical, the startup does not discriminate between those that hang to the left or right.